This piece effortlessly blends minimalist design with a mechanical movement. 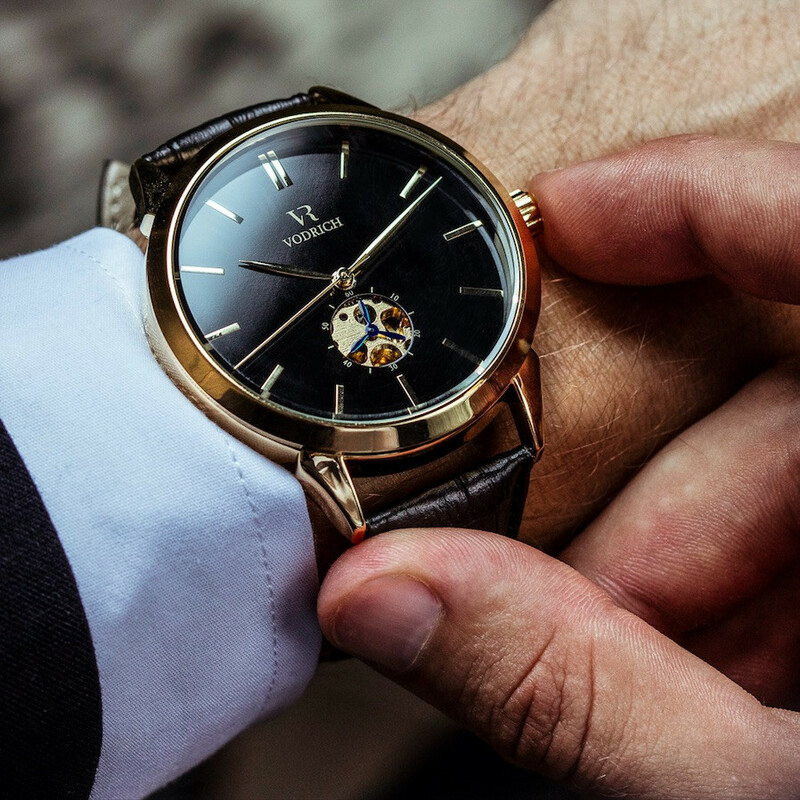 The gold gears are revealed through the sleek finish of the dial and are highlighted by a blue turbine which gives you an elegant timepiece that is perfect for both everyday wear and special events. 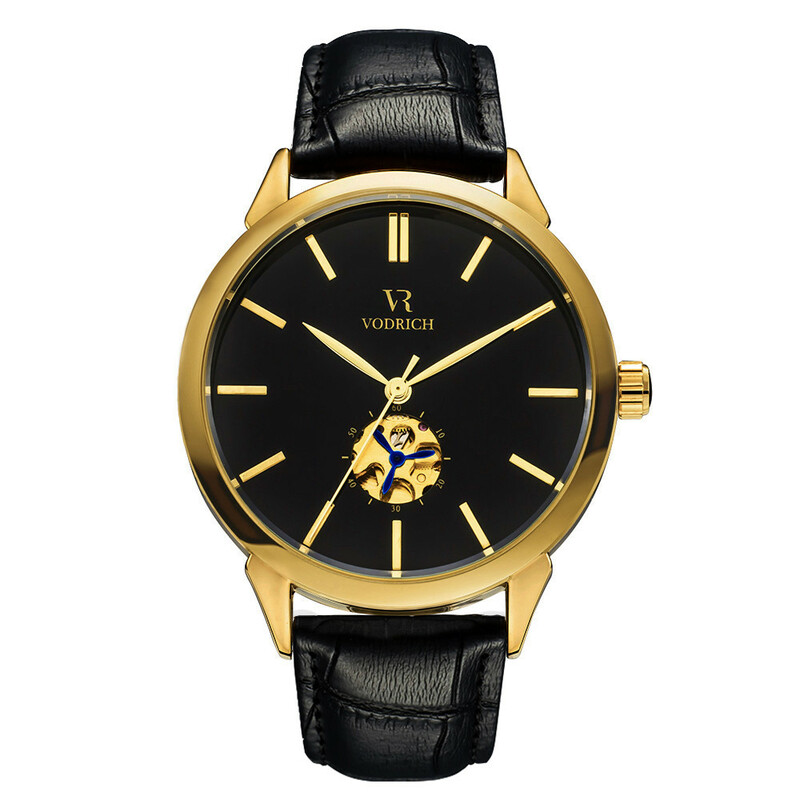 The watch comes with a black genuine leather strap, and features an automatic self-wind movement with hollow case back.